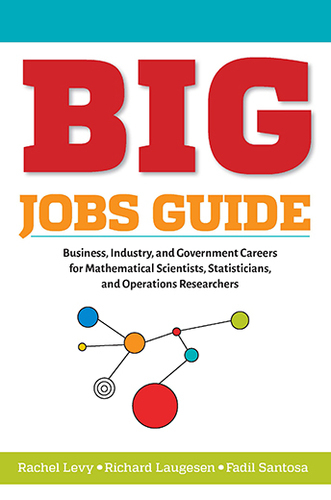 Communicate the value of mathematical science training in BIG to students, faculty, and employers. Facilitate connections between students, faculty, and BIG employers. Share knowledge about how to prepare for internships and BIG jobs. Curate and create best practices do and training material that prepare students for BIG jobs. Collaborate with professional societies and BIG in connecting job opportunities with talent.